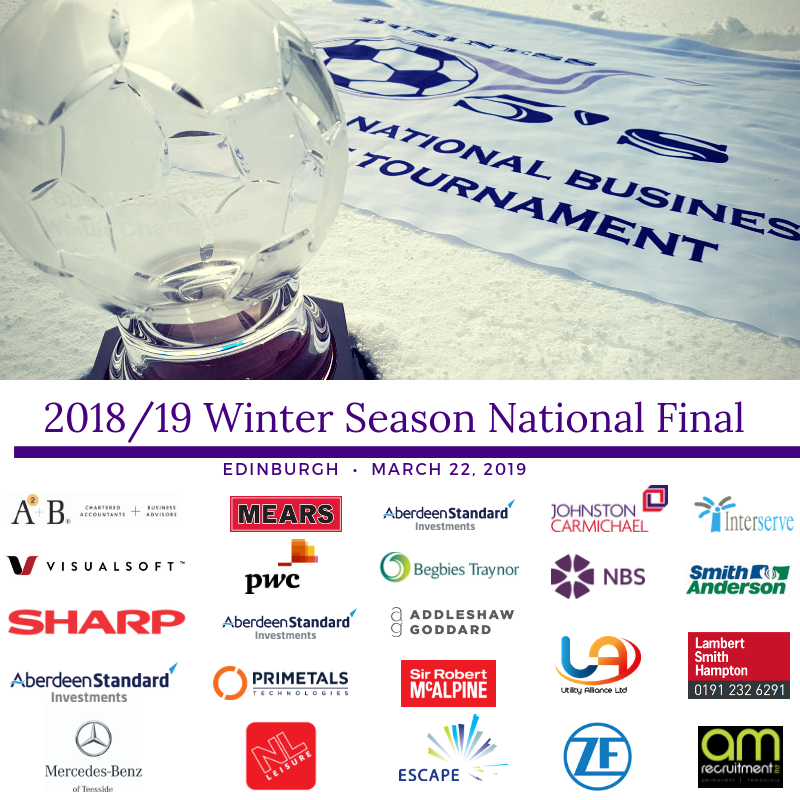 The winter season of the five-a-side event for footie-loving firms, which has run through November, January, March and February, culminates in finals day in Edinburgh this Friday. The tournament, which has been supported by the Edinburgh Chamber of Commerce, encourages firms across Scotland and England to enter a five-a-side team in both winter and summer events, is coming to the end of its sixth season. Exactly 6,997 goals have been scored at Business Fives events so far, with 1,475 of them coming this winter across over 300 matches, and the third goal of Fridays final will be a significant milestone for the company. Edinburgh based film producers, Neon Eye will be on hand to capture the 7,000th and subsequent goal mouth action at the final. 136 companies have been narrowed down to 24 with teams qualifying from each of the 9 events throughout Scotland and England in Edinburgh, Glasgow, Dundee, Aberdeen, Newcastle, Sunderland and the final stop was in Tees Valley. Companies from various industry sectors will be represented at the final and the full line up of companies involved is below. From 2 events in Edinburgh, Scotland’s capital is well represented in the final by firms such as Johnston Carmichael playing for Maggie’s, two teams from Aberdeen Standard Investments, the tournaments top fundraisers are playing for Dementia UK, Addleshaw Goddard are supporting Changing Faces Scotland and Escape Recruitment are playing to win the donation for the Mary Leishman Foundation. This winter Business Fives charity prize pot up for grabs on Friday is £4,795 which will be split between the winners and runners up of the Champions League section and the winners of the Europa League section. Dementia UK and Maggie’s both have 3 companies playing for them with the Great North Air Ambulance and St Andrew’s Hospice both being supported by 2 companies playing for their cause. So far more than £14,159 has been raised for various charities with Dementia UK the biggest beneficiaries as the three teams from Aberdeen Standard Investments combined to raise £1,440 for them, other notable fundraising efforts were Begbies Traynor who raised £415 for Macmillan and ZF Group who raised £385 for the Great North Air Ambulance. Former Rangers, Dundee Utd, Sunderland and Wolves star, Alex Rae will be attending the final to present to players. There has been a host of famous ex-players supporting the tournament as ambassadors including Newcastle United goal machine, Malcolm ‘Supermac’ MacDonald, Middlesbrough and Ireland goalscorer Bernie Slaven, Hibernian and Celtic stalwart Yogi Hughes, Hearts ambassador Gary Locke, Rangers legend and former SFA Chief Exec, Gordon Smith, Hearts and Rangers goal scorer Iain Ferguson, Celtic playmaker Bobby Petta, former Dundee Utd hardman Sean Dillon, former referee James Bee and Open Goal podcast host, Si Ferry. Tournament founder and Business Fives managing director John McClarey – who will shortly be hosting the highly-successful Business Fours golf tournament 2019 – says it’s a great opportunity for businesses to bond with colleagues outside of the office, get fit and raise money for charity. John said: “We are delighted with how the winter events have gone, especially how they have been received in our expansion down south into the North East of England. Feedback from the participants continues to be very positive and we’re delighted to keep bringing our clients together through sport.